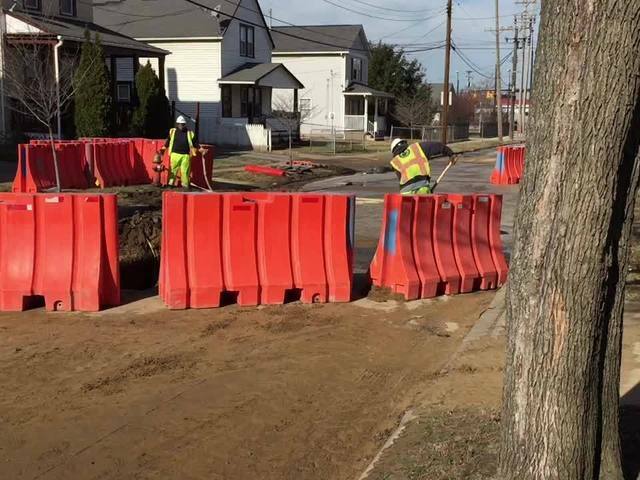 Ansel Road remains closed between St. Clair and Crumb avenues as of Saturday afternoon due to a water main break from Friday night. 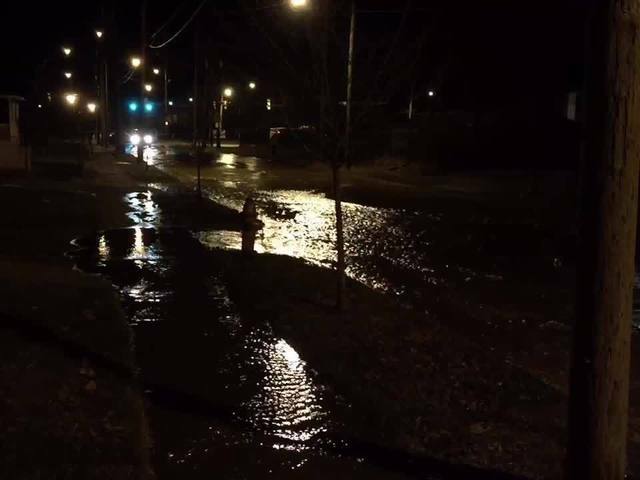 Crews said that they have repaired the water main after a woman was rescued by firefighters Friday night after she drove her car into a crater created by the water main break. A Cleveland Water Department spokesperson said that the department will need to make further repairs to the sewer system. The spokesperson added that water is restored for the 40 customers that were initially impacted. Our crews were told one firefighter was trying to push the woman's car out of the 8-inch water main break hole when he slipped and fell in over his head. The woman told newsnet5.com the other firefighters on scene took the fireman that fell back to the firehouse to get warmed up. She called the firefighter a hero and said it could have been a lot worse if her car had gone all the way into the hole. No one was hurt. The Cleveland Water Department went to the scene to turn off the water flow. The woman's car has since been removed. Lt. Dean Murad and the crew at fire station 30 is a fine example of what we stand for in the city of Cleveland. That’s professional and providing exemplary service during the call to duty.